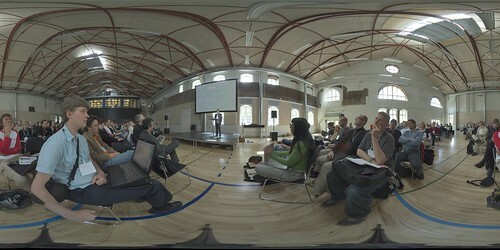 Thomas Madsen-Mygdal opened the conference around 9:30 on thursday. 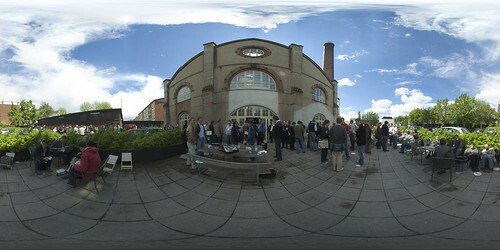 I took this panorama and had it stitched on 9:50. 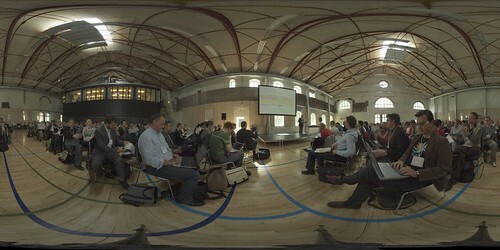 Obviously, I didn't take this panorama to look pretty, it was about speed and live blogging. Hence the suboptimal exposure, and the visible tripod. Normally I shoot without the tripod, but then again, normally I take about a 1 - 1.5 hours to stitch the result. I could of course edit out the tripod using photoshop, but hey... speed. 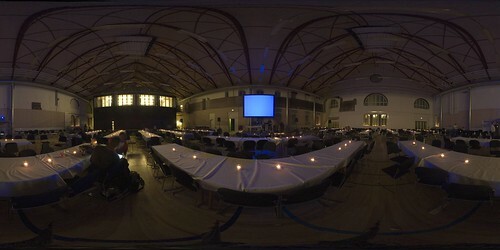 Update 25:00: Dinner was served in the main hall. Great atmosphere with the sun getting low outside, and candlelit tables. Nice food too. Today's a lot nicer than yesterday. 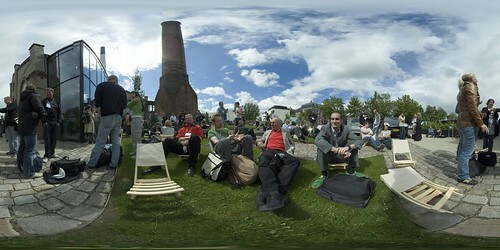 Here's a nice mood-shot of attendees enjoying the sun during a short break, but unlike the one I did at lunch yesterday I used a IR filter which blocks out most light, but keeps the IR part of the scala. Weird colors, a groovy lens flare and a nice dark sky are the results. Amazingly, Matt Webb managed to get in this shot again. Update from home: Here are probably the last two Reboot panoramas for a while. I have shot lots more, but I am affraid they will end up on the 'stitch-when-I-have-the-time' stack. 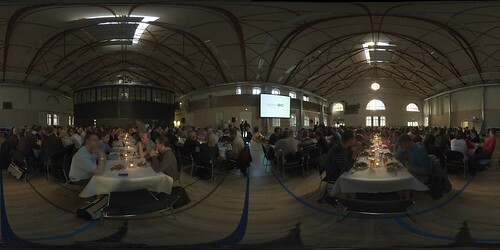 With Reboot now over, and things getting back to normal back in Schiedam, here's a last shot of the Kedelhallen in Copenhagen. It's been great. 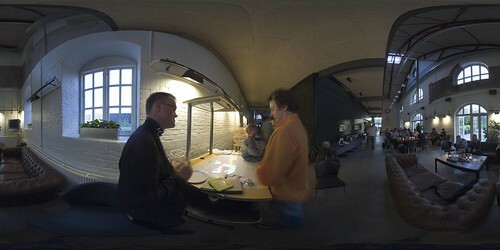 The images are 'stiched' together from multiple fisheye shots. I use PTGui and lots of Photoshop for stitching. The 6th image is a false color infrared panorama. There's more info ïn an earlier post. Hey went through the other link.. 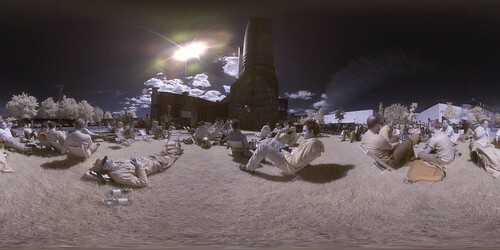 Cool.. really cool.. that is a hell lot of imagination... have u use the IR panaroma in these pics too?